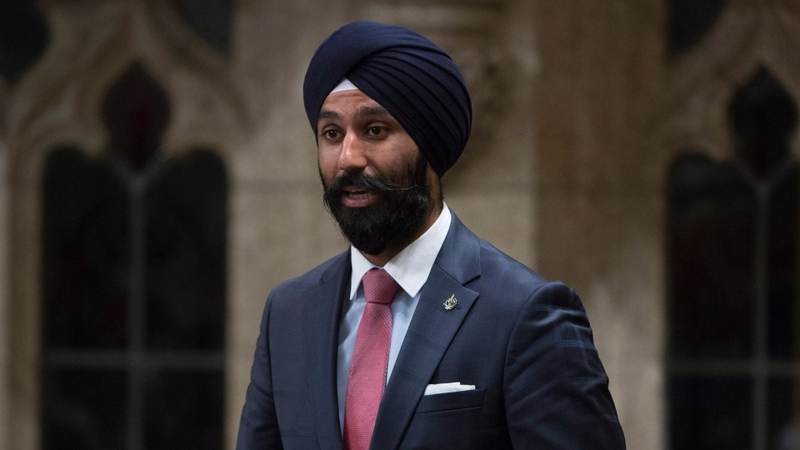 OTTAWA – The federal Conservatives are calling for outgoing Liberal MP Raj Grewal's official resignation amid new questions about the parliamentarian's time on the Hill. The Liberal MP for Brampton East announced last Thursday that he would be resigning his seat for "personal and medical reasons." It was later revealed by the Prime Minister’s Office that he is seeking treatment for a gambling addiction, and by the House of Commons Speaker that he has yet to actually formally step down as a member of Parliament. According to a Globe and Mail report that CTV News has not independently verified, "the RCMP have been investigating...Grewal for months" in connection with millions of dollars in gambling related activities. Citing this story, Conservative ethics critic Peter Kent called on Prime Minister Justin Trudeau to remove Grewal from the Liberal caucus, and to join the Official Opposition in asking for "his immediate and official resignation." Kent also accused Grewal of abusing his position on the House Finance Committee, by asking questions about money laundering to senior officials. "These questions appear to be directly related to his gambling activities, for which he is currently under RCMP investigation," Kent alleged in a public release. Until this fall, the rookie MP had been a member of the committee, where he participated in hearings related to a review of Canada's anti-money laundering and anti-terrorist financing regime earlier this year. A CTVNews.ca review of Grewal's interventions at the House Finance Committee during this review of the regime confirms that during public meetings, the MP questioned senior departmental and federal law enforcement agencies—including the Financial Transactions and Reports Analysis Centre of Canada (FINTRAC) the agency which monitors financial transactions over $10,000 with the mandate of detecting and preventing money laundering and terrorist financing — how big a problem money laundering is in Canada, and the current process for, and efficacy of these investigations. Other MPs on the committee did ask questions of this nature given the topic, but during question period on Wednesday, opposition MPs specifically raised the issue of Grewal’s inquiries. The Conservatives asked Trudeau when he knew Grewal was under investigation by the RCMP, pointing to Grewal being moved from the House Finance Committee to the House Health Committee in September. 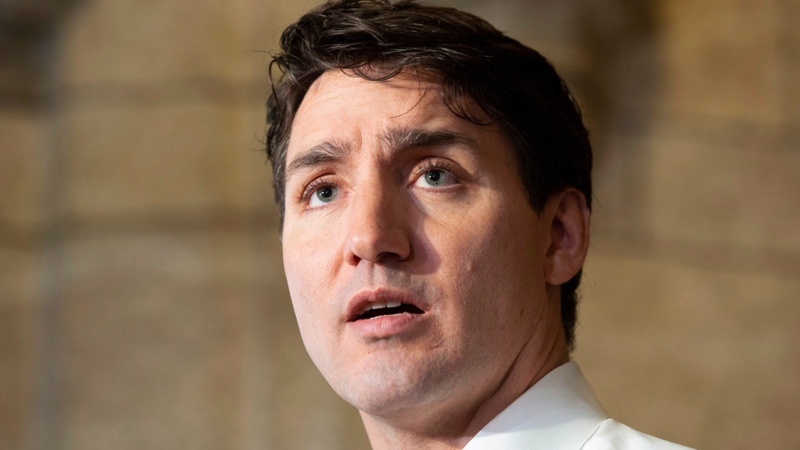 In response Trudeau said he learned last week about Grewal's gambling addiction, and noted that the RCMP's investigations happen "completely independently and without giving advice or notification to any politicians of investigations that they need to undertake." NDP MP Nathan Cullen also raised it in the House, saying Grewal used his access to experts to ask “very troubling questions” citing a few examples. "How many resources does FINTRAC have to go after each little $10,000 transaction? If I'm money laundering, I'm not doing transactions in the millions to catch attention. I'm doing them at the $10,000, $15,000 limit to get away with it." Asked by reporters Wednesday morning about Grewal's work on the committee, Trudeau said "many questions" remained, but he wished Grewal well in getting the healing he needs. Trudeau said he was "not going to make any more comments at this time." "Members of Parliament must be held to the highest ethical standard. It's clear from Mr. Grewal’s behaviour that he has failed to live up to this standard and it’s also clear the Prime Minister has not been transparent about Mr. Grewal’s case," Kent said. On Tuesday, House of Commons Speaker Geoff Regan told MPs that he had yet to receive Grewal's official resignation, meaning he is still a member of Parliament. "He informed me that he is resigning and that is going to be something that is effective immediately. So it's my expectation – there's paperwork that's involved in that. It's my expectation that – that he's taking care of the required paperwork," Chief Government Whip Mark Holland told reporters asking about Grewal’s status on Wednesday. Holland said he hasn’t spoken to Grewal in a couple of days. On Friday, the Prime Minister's Office issued a statement saying that Grewal was receiving treatment "from a health professional related to a gambling problem," that led him to rack up "significant personal debts." Trudeau had said at the time that Grewal stepping down was the right decision. The PMO said last week that they were not aware of any police investigation related to Grewal's gambling, but that they are aware the RCMP made inquiries "regarding the circumstances that were the subject of a complaint to the Ethics Commissioner about Mr. Grewal earlier this year." The ethics commissioner had been looking into Grewal potentially being in a conflict of interest for inviting a business associate to events during the Prime Minister's trip to India. Commissioner Mario Dion has not yet issued his report or findings on the matter. CTV News has reached out to Grewal for comment and have yet to hear back.